Old Montreal is a picturesque neighborhood of Quebec's largest city that is home to historic buildings and cobblestone streets that date back to 1685. Top attractions in the Old Town include Notre-Dame Basilica, Place Jacques Cartier and the Montreal City Hall. 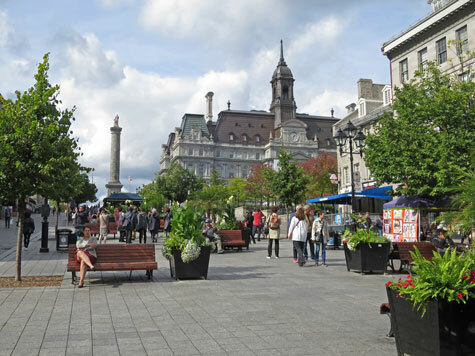 This historic community is called "Vieux Montreal" in French.